Wetlands are the vital link between land and water. They support unique flora and fauna as well as provide ecological services that are beneficial to society Wetlands are among the most important and productive ecosystems on Earth. India is blessed with water resources and has a rich diversity of inland and coastal wetlands. Wetlands in India are distributed from the cold arid Trans-Himalayan zone to the wet Teri region of the Himalayan foothills, to the Gangetic plains extended to the flood-plains of Brahmaputra, and to the swamps of Northeastern India including the saline expanses of Gujarat and Rajasthan. This study is about three major natural wetlands of Eastern India: Sundarbans, Chilika and Kolleru. The Sundarbans is the largest mangrove forest in the world. It covers an area of about 1 m. ha. Sixty percent of this wetland is located in Bangladesh and the rest of the forty percent is in India. The Indian part of the Sundarbans is situated in the western part of the Ganges–Brahmaputra delta, and is extended from the Hooghly River in the west to the Raimangal River in the southeastern portion of the West Bengal State, spreading over two districts: North 24 Parganas and South 24 Parganas. The Chilika is the world’s second largest brackish water lagoon, and it is situated along the east coast of India in the state of Orissa on the Bay of Bengal with an area of 116,500 ha. The Chilika is extended over eight blocks of three districts; these districts are known as Ganjam, Khurda and Puri. This pear-shaped lake is about 64.5 km. long; its width varies from 18 km. to 5 km. The water spread area of the lake varies from 906 sq. km. to 1165 sq. km. depending upon the seasons. The Kolleru Lake is extended over the Krishna and West Godavari districts along the east coast of India in the state of Andra Pradesh. Kolleru is a large natural freshwater lake, with the catchment area being 4763 sq. km. Although the lake is about 35 km. inland from the present coast, it used to be a coastal lagoon in the past. Kolleru still maintains its connection with the Bay of Bengal through a 60 km long tidal channel called Upputeru. The average depth of the lake varies from 0.5 m. to 2.0m. This study offers a new sampling design; blocks in and around the specific wetland were stratified into three clusters, according to their distance from the specified wetland. Samples were chosen mostly from the blocks closest to the wetland, with minimal samples chosen from the blocks most distant from the wetland. Four different schedules were canvassed to four different groups of people: householders, entrepreneurs, tourists, and experts on wetlands. Aldred, Jonathan and Michael Jacobs (2000): ‘Citizens and wetlands: Evaluating the Ely citizens’ jury’, Ecological Economics, Vol. 34, pp. 217-232. Anderson C.W., V. Barnett, C. Chatwin and A. H. El-Shaarawi (Eds) (2002): ‘Quantitative Methods for Current Environmental Issues’, Springer, Great Britain. Ando, Amy W. and Michael Getzner (2006): ‘The roles of ownership, ecology and economics in public wetland – conservation decisions’, Ecological Economics, Vol. 58, Issue 2, pp. 287-303. Anjaeyulu, Y. and M.K. Durga Prasad (eds.) (2003): ‘Lake Kolleru – Environmental Status (Past and Present)’, BS Publications, Hyderabad. Arrow, K., R. Solow et al. (1993): ‘Report on the National Oceanic and Atmospheric Administration (NOAA) Panel of Contingency Valuation (Washington D C, Resources for the future). Barbier, Edward B., Mike Acreman and Duncan Knowler (1997): ‘Economic Valuation of Wetlands: A Guide for Policy Makers and Planners’, Ramsar Convention Bureau, Gland, Switzerland. Barbier, Wdward B. (2000): ‘Valuing the environment as input: review of applications to mangrove-fishery linkages,’ Ecological Economics, Vol. 35, pp. 47-61. Bateman, Ian J., B. H. Day, S. Georgiou and I Lake (2006): ‘The aggregation of environmental benefit values: Welfare measures, distance decay and total WTP,’ Ecological Economics, Vol. 60, Issue 2, pp. 450-460. Bateman, Ian, J. et al. (2002): ‘Economic Valuation with Stated Preference Techniques: A Manual’, Edward Elgar, UK. Bennett, J. and Russel Blamey (eds.) (2001): ‘The Choice Modeling Approach to Environmental Valuation’, Edward Elgar, UK. Berentsen, Paul B. M. et al. (2007): ‘Costs and benefits of on-farm nature conservation’, Ecological Economics, Vol. 62, Issue 3-4, pp. 571-579. Bergstrom, John C. and Laura O. Taylor (2006): ‘Using meta-analysis for benefits transfer: Theory and practice’, Ecological Economics, Vol. 60, Issue 2, pp. 351-360. Birol, Ekin, K. Karousakis and P. Koundouri (2006): ‘Using a choice experiment to account for preference heterogeneity in wetland – attributes: The case of Cheimaditida wetland in Greece’, Ecological Economics, Vol. 60, Issue1, pp. 145-156. Boere, G.C., C.A. Galbraith and D.A. Stroud (Eds.) (2006): ‘Waterbirds around the World: A global overview of the conservation, management and research of the world’s waterbird flyways’, Published by the Stationery Office Limited, Edinburgh, UK. Bohringer, Christoph and Patrick E. P. Jochem (2007): ‘Measuring the immeasurable – A survey of sustainability indices’, Ecological Economics, Vol. 63, Issue 1, pp. 1-8. Bolund, Per and S. Hunhammar (1999): ‘Ecosystem services in urban areas,’ Ecological Economics, Vol. 29, pp. 293-301. Boyer, Tracy and Stephen Polasky (2004): ‘Valuing Urban Wetlands: A Review of Non-Market Valuation Studies’, Wetland, Vol. 24, No. 4, pp. 744-755. Brouwer, Roy (2006): ‘Do stated preference methods stand the test of time? A test of the stability of contingent values and models for health risks when facing an extreme event’ Ecological Economics, Vol. 60, Issue 2, pp. 399-406. Bureau of Applied Economics & Statistics (2006): ‘District Statistical Handbook 2005 – North 24 Parganas’, Bureau of Applied Economics & Statistics, Government of West Bengal. Bureau of Applied Economics & Statistics (2006): ‘District Statistical Handbook 2005 – South 24 Parganas’, Bureau of Applied Economics & Statistics, Government of West Bengal. Bureau of Applied Economics & Statistics (2006): ‘Statistical Abstract 2005’, Bureau of Applied Economics & Statistics, Government of West Bengal. Cangelosi, Allegra (2005): ‘Economic Valuation of Environmental Benefits,’ Northeast-Midwest Institute. 20 September, 2005. Carson, R. T. (1998): ‘Valuation of tropical rainforests: philosophical and practical issues in the se of contingent valuation’, Ecological Economics, Vol. 24, pp. 15-29. Chanda, S. and Datta, S.C. (1986): ‘Prospects and problems of a mangrove ecosystem in western Sunderbans (Indian)’, Trans. Bose Res. Inst. 40 (1): 5-14. Chaudhuri, A.B. 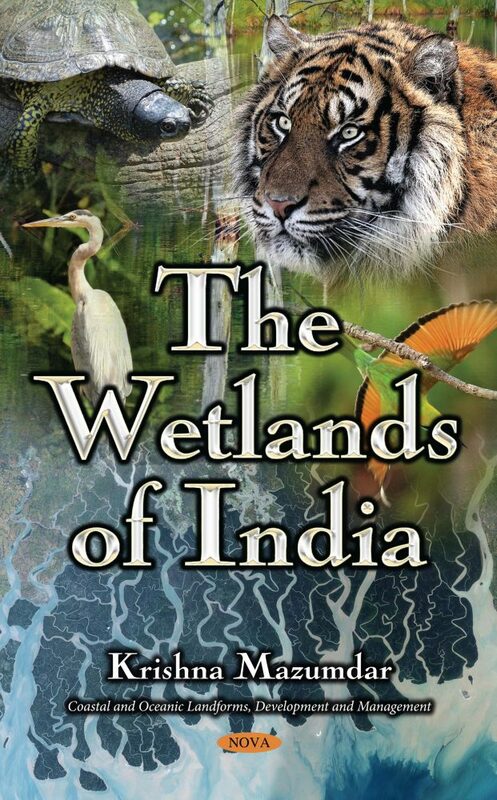 (2007): ‘Endangered Wetlands’, Daya Publishing House, New Delhi. Chief Planning Officer (2005): ‘Hand Book of Statistics – Krishna Dist 2004-2005’, Chief Planning Officer, Krishna District, Machilipatnam, Government of Andhra Pradesh. Chief Planning Officer (2005): ‘Hand Book of Statistics 2004-2005’, Chief Planning Officer, West Godavari District, Eluru, Government of Andhra Pradesh. Chilika Development Authority (2005): ‘Innovative Approaches to Sustainable Livelihood,’ The Asian Wetland Symposium 2005, 6th – 9th February, 2005, Third Eye Communications, Bhubaneswar, Orissa, India. Chowdhury, Biswajit Roy and P. Vyas (2005): ‘The Sunderbans – A Pictorial Field Guide’, Rupa & Co. Publishers, New Delhi. Clarke, C.B. (1896): ‘Presidential address’, Proc. Linn. Soc. London; pp. 14-29. Council for Social Development (2006): ‘India – Social Development Report’, Oxford University Press, New Delhi. Creative Research Group (1997): ‘Base Line Document for Management Action Plan (as per Ramsar Convention Guidelines). Daly, H.E. (1996): ‘Beyond Growth: The Economics of Sustainable Development’, Beacon Press, Boston. Daly, H.E. and J.B. Cobb, Jr. (1994): ‘For the Common Good: Redirecting the Economy towards Community, the Environment and a Sustainable Future (Second Edition)’, Beacon Press, Boston. Das, S. (1996): ‘Certain aspects of morphology, anatomy and palynology of some mangroves and their associates from Sunderbans, West Bengal’, Ph. D. Thesis, Calcutta University. Department of Tourism and Culture (2005): ‘Statistical Bulletin’, Department of Tourism and Culture, Government of Orissa. Diamond, P.A. and J.A. Hausman (1994): ‘Contingent valuation: is some number better than no number?’ Journal of Economic Perspectives, Vol. 8, pp. 45-66. Directorate of Economics and Statistics (2001): ‘District Statistical Handbook - Ganjam’, Directorate of Economics and Statistics, Government of Orissa. Directorate of Economics and Statistics (2001): ‘District Statistical Handbook - Puri’, Directorate of Economics and Statistics, Government of Orissa. Directorate of Economics and Statistics (2003): ‘Statistical Outline of Orissa’, Directorate of Economics and Statistics, Government of Orissa. Directorate of Economics and Statistics (2005): ‘District Statistical Handbook - Khurda’, Directorate of Economics and Statistics, Government of Orissa. Directorate of Economics and Statistics (2005): ‘Economic Survey: 2004 – 2005’, Directorate of Economics and Statistics, Planning and Co-ordination Department, Government of Orissa. Directorate of Economics and Statistics (2006): ‘Statistical Abstract: Andhra Pradesh - 2006’, Directorate of Economics and Statistics, Government of Andhra Pradesh. Douthwaite, Richard (1998): ‘Green Economics and Sustainable Development’, Times Change, A Quarterly Political and Cultural Review. Dugan, P.J. (1990): ‘Wetland Conservation: A Review of Current Issues and Required Action’, IUCN, Gland, Switzerland. Dwivedi, D. N. and V. K. Sharma (2005): ‘Analysis of Sea level rise and its impact on Coastal Wetlands of India,’ Proceedings of the 14th Biennial Coastal Zone Conference, New Orleans, Louisiana, July 17 to 21, 2005. Ellingson, Lindsey and Andrew Seidl (2006): ‘Comparative analysis of non-market valuation – techniques for the Eduardo Avaroa Reserve, Bolivia’, Ecological Economics, Article in Press. Farooqui, Anjum (2007): ‘Mangrove vegetation, climate and sea level changes since middle Holocene: palyno-chronostratigrapic record from Deltaic Wetlands, South-East Coast, India’, Birbal Sahni Institute of Palaeobotany, Lucknow, India. Field, Barry C. and Martha K. Field (2002): ‘Environmental Economics: An Introduction,’ McGraw-Hill/Irwin, New York. Folmer, H and Van, E., (1989): ‘Valuation Methods and Policy Making in Environmental Economics’, Netherlands, Elsevier, Amsterdam. Forest Department (2004): ‘Eco Tourism Destinations in Orissa’, Forest Department, Government of Orissa. Forest Department (2004): ‘Wild Orissa’,. Forest Department, Government of Orissa. Ghose, M. (2001): ‘Status of mangroves in the Sundarbans of West Bengal, India’ Mangrove ecosysytems: Natural distribution, biology and management. (eds) Bhat, N.R., Taha, F.K. and Al-Nasser, A.Y. Food Resources Division, Kuwait Institute For Scientific Research. Pp. 7-16. Ghosh, Asish (2003): ‘Experience Brief for Chilika Lake, Orissa, India’, Center for Environment and Development, 22 October, 2003. Govinda, R. edited (2002): ‘India Education Report – A Profile of Basic Education’, National Institute of Educational Planning and Administration, Oxford University Press, New Delhi. Hallwood, Paul (2006): ‘Contractual Difficulties in Environmental Management: The Case of Wetland Mitigation Banking’, Ecological Economics, Article in Press. Hein, Lars et al. (2006): ‘Spatial scales, stakeholders and the valuation of ecosystem services,’ Ecological Economics, Vol. 57, pp. 209-228. Henderson, Jim E. and L. R. Lawrence (1989): ‘Environmental Effects of Dredging – Technical notes: Economic valuation of wetlands’, EEDP – 06 – 7, November, 1989, US Army Engineer Waterways Experiment Station, Vicksburg, MS.
Hoq, M. Enamul, M. A. Wahab and M. N. Islam (2006): ‘Hydrographic status of Sundarbans mangrove, Bangladesh with special reference to post-larvae and juveniles fish and shrimp abundance’, Wetlands Ecology and Management, Vol. 14, pp. 79-93. Indira Gandhi Institute of Development Research (IGIDR) (2001-2002): Annual Report. Israel Debra and A Levinson (2002): ‘WTP for Environmental Quality: Testable Empirical Implications of the Growth and Environmental Literature’, Draft, June 28. James, A.J. and M.N. Murthy (1999): ‘Measuring Non-User Benefits from Cleaning Ganges’, Working Series No. E/202/99, Institute of Economic Growth, Delhi University. Jayanthi, M et al. (2006): ‘Assessment of impact of aquaculture on Kolleru Lake (India) using remote sensing and Geographical Information System,’ Aquaculture Research, Vol. 37, Issue 16, pp. 1617-1626. Junk, Wolfgang J. et al. (2006): ‘The comparative biodiversity of seven globally important wetlands: a synthesis’, Aquatic Sciences, Vol. 68, pp. 400-414. Kontogianni, Areti et al. (2001): ‘Integrating Stakeholder analysis in non-market valuation of environmental assets,’ Ecological Economics, Vol. 37, pp. 123-138. Krutilla, J.V. (1967): ‘Conservation Reconsideration’, American Economic Review, Vol. 57, Issue 40, pp. 777-786. Kumar, Pushpam, A. Love, R.S. Sharma, N.A. Khan, S. Sharma and C.R. Babu (2003): ‘Valuation of Ecosystem Functions: A Case Study of Wetlands Ecosystem along the Yamuna River Corridors of Delahi Region’, Institute of Economic Growth and Centre for Environmental Management of Degraded Ecosystems, Delhi. Leschine, Thomas M., K. F. Wellman and T. H. Green (1997): ‘The Economic Value of Wetlands: Wetlands’ Role in Flood Protection in Western Washington’, Final Report Prepared for the Washington State Department of Ecology, Ecology Publication No. 97 – 100, October 1997. Lette, Henk and Henneleen de Boo (2002): ‘Economic Valuation of Forests and Nature: A support tool for effective decision-making’, Theme Studies Series No. 6, Forests, Forestry and Biodiversity Support Group, National Reference Centre for Agriculture, Nature Management and Fisheries, The Netherlands. MacMillan, Douglas, Nick Hanley and Nele Lienhoop (2006): ‘Contingent Valuation: Environmental Polling or Preference Engine?’ Ecological Economics, Vol. 60, Issue1, pp. 299-307. Maler, K. G. (1991): ‘National Accounts and Environmental Resources’, Environmental and Resource Economics, 1991. Mandal, A.K. and Ghose, R.K. (1989): ‘Sundarban: A social bio-ecological study’; Bokland private Limited, Calcutta, pp.194. Mandal, Aparna (2004): ‘Sundarbns – An Ecological History’, Readers Service Pulishers, Kolkata. Mandal, Asim Kumar (2003): ‘The Sundarbans of India: A Development Analysis’, Indus, New Delhi. Marappan, Jayanthi et al. (2006): ‘Assessment of impact of aquaculture on Kolleru Lake (India) using remote sensing and Geographical Information System’, Aquaculture Research, Vol. 37, No. 16, pp. 1617-1626. Martinez, M. L. et al. (2007): ‘The coasts of our world: Ecological, economic and social importance’, Ecological Economics, Vol. 63, Issue 2-3, pp. 254-272. Milon, J. Walter and David Scrogin (2006): ‘Latent preferences and valuation of wetland ecosystem restoration,’ Ecological Economics, Vol. 56, pp. 162-175. Mitra, Amitava and Chattopadhyay, Kunal. (1999-2000): ‘Report on Environmental Conservation and Demand for Nature-Based Tourism in Arunachal Pradesh’. Mitsch and Gosselink, (1993): Wetlands. Van Nostrand Reinhold, New York, Second Edition. Mitsch, W. J. and J. G. Gosselink (2000): ‘The value of wetlands: importance of scale and landscape setting,’ Ecological Economics, Vol. 35, pp. 25-33. Mitsch, W.J. and Gosselink, J.G. (1986): Wetlands. Van Nostrand Reinhold, New York. Mitsch, W.J. and J.G. Gosselink (2000): ‘Wetlands’, 3rd Edition, Wiley and Sons, New York. Morgan, J.P. and McIntire, W.G. (1959): ‘Quaternary geology of the Bengal basin, East Pakistan and Burma’, Bull. Geol. Soc. Am. ; 70: 319-342. Morgan, Richard K. (1998): ‘Environmental Impact Assessment: A Methodological Perspective,’ Kluwer Academic Publishers, Dordrecht, The Netherlands. Murthy, M.N. (1977): ‘Samplying Theory and Methods’, Statistical Publishing Society, Calcutta, India. Nanda, B.B. and S. Sahoo (2006): ‘Population Diversity of Orissa – Analysis of Census Data over Time and Space’, READ Foundation, Orissa. Natarajan, D. et al. (2004): ‘Identification of conservation priority sites using remote sensing and GIS – A case study from Chitteri hills, Eastern Ghats, Tamil Nadu’, Current Science, Vol. 86, No. 9, pp. 1316-1323. National Council of Applied Economic Research (2002): ‘West and Central India – Human Development Report’, Oxford University Press, New Delhi. National Council of Applied Economic Research (2003): ‘North India – Human Development Report’, Oxford University Press, New Delhi. National Council of Applied Economic Research (2004): ‘East India – Human Development Report’, Oxford University Press, New Delhi. Nunes, Paulo A.L.D (2002): ‘The Contingent Valuation of Natural Parks’, Edward Elgar, U.K.
Nunes, Paulo A. L. D., J. C. J. M. van den Bergh and Peter Nijkamp (2000): ‘Ecological- Economic Analysis and Valuation of Biodiversity’, Tinbergen Institute Discussion Paper No. T I 2000 – 100/3, Amsterdam, The Netherlands. Oh, Edmund J.V., B.D. Ratner, S. Bush, K. Kolandai and T.Y. Too (eds.) (2005): ‘Wetlands Governance in the Mekong Region: Country Reports on the Legal-Institutional Framework and Economic Valuation of Aquatic Resources’, The WorldFish Center, Malaysia. Parani, M., Lakshmi, M., Senthilkumar, P., Ram, N. and Parida, A. (1998): ‘Molecular Phylogeny of mangroves V. Analysis of genome relationships in mangroves species using RAPD and RELP Markers’, Theory. Appl. Genet. ; 97: 617-625. Parikh, Jyoti and Hemant Datye (eds.) (2003): ‘Sustainable Management of Wetlands – biodiversity and beyond’, Sage Publications, New Delhi. Parikh, Kirit S. edited (1999-2000): India Development Report’, Indira Gandhi Institute of Development Research, Oxford University Press, New Delhi. Parks, peter J. and R. A. Kramer (1995): ‘A Policy Simulation of the Wetlands Reserve Program,’ Journal of Environmental Economics and Management, Vol. 28, pp. 223-240. Patar, K. C. (2007): ‘Preservation of Wetlands’, InaianNGOs.com. Paul Ekins (2000): ‘Economic Growth and Environmental Sustainability: The Prospect for Green Growth’, Routledge, London and New York. Paul;, A.K. and Bandyopadhyay, M.K. (1986): ‘The role of mangroves in deltaic morphology: A study in Prentic and Lothian Islands, Sundarbans, West Bengal’, Proc. Nat. Symp. Biol. Util. Cons. Mangroves, Shibaji Univ. Kolhapur. Pp.218-221. Pearce, D.D. Witington and S. Georgion (1994): Economic Values and the Environment in the Developing World, A Report to the UNEP, Nairobi. Pearce, David, Pearce, Corin. Palmer Charles (eds. ), (2002): ‘Valuing the Environment in Developing Countries Case Studies’, Edward Elgar, U.K.
Ramachandra, T.V. and R. Rajinikanth (2006): ‘Economic Valuation of Wetlands – Technical Report: 101’, Energy and Wetlands Research Group, Center for Ecological Sciences, Indian Institute of Science, Bangalore. Rao, K. N., G. M. Krishna and B. H. Malini (2004): ‘Kolleru lake is vanishing – a revelation through digital processing of IRS – 1D LISS – III sensor data,’ Current Science, Vol. 86, No. 9, pp. 1312 – 1316. Reddy, M.S. and N. V. V. Char (2004): ‘Management of Lakes in India’, Ministry of Water Resources, Government of India, 10, March, 2004. Richmond, Amy et al. (2007): ‘Valuing ecosystem services: A shadow price for net primary production,’ Ecological Economics, Article in Press. Ruijgrok, E.C.M. and P. Klop (2005): ‘Reducing acidification: the benefits of increased nature quality – Investigating the possibilities of the contingent valuation method’, Witteveen + Bos Consultant, Rotterdam, The Netherlands. Sakhare, V.B. (2006): ‘Ecology of Lakes and Reservoirs’, Daya Publishing House, New Delhi. Sanyal, P. (1996): ‘Sundarbans: The largest mangrove diversity on globe’, William Roxburgh Memorial Seminar on Sundarban Mangals, Calcutta. Pp. 11-26. Schuyt, Kirsten D. (2005): ‘Economic consequences of wetland degradation for local populations in Africa’, Ecological Economics, Vol. 53, pp. 177-190. Seidl, Andrew F. and A. S. Moraes (2000): ‘Global valuation of ecosystem services: application to the Pantanal da Nhecolandia, Brazil’, Ecological Economics, Vol. 33, Issue 1, pp. 1-6. Sekhar, Nagothu Udaya (2004): ‘Fisheries in Chilika Lake: how community access and control impacts their management,’ Journal of Environmental Management, Vol. 73, pp. 257 - 266. Selvam, V. (2003): ‘Environmental classification of mangrove wetlands of India’, Current Science, Vol. 84, No. 6, pp. 757-765. Shariff, Abusaleh edited (1999): ‘India – Human Development Report: A Profile of Indian States in the 1990s’, National Council of Applied Economic Research, Oxford University Press, New Delhi. Skourtos, Mihalis S. et al. (2000): ‘Integrating Stakeholder analysis in non-market valuation of environmental assets,’ The Centre for Social and Economic Research on the Global Environment (CSERGE) Working Paper GEC 2000-22. Smith, V.K., (1996): ‘Estimating Economic Values for Nature’, Edward Elgar, U.K.
Society of Wetland Scientists: International Chapter – http://www.sws.org. Spash, Clive L. (2000): ‘Ecosystems, contingent valuation and ethics: the case of wetland re-creation’, Ecological Economics, Vol. 34, pp. 195-215. Spash, Clive L. and Arild Vatn (2006): ‘Transferring environmental value estimates: Issues and alternatives’, Ecological Economics, Vol. 60, Issue 2, pp. 379-388. State Pollution Control Board, Orissa (2006): ‘State of Environment Orissa’, prepared by State Pollution Control Board, Orissa in collaboration with Administrative Staff College of India, Hyderabad and supported by Ministry of Environment & Forests, Government of India. Suutari, Amanda (2007): ‘India – East Calcutta – Wetlands: Agro-Ecosystem’, The Eco Tipping Point Project. Swarts, F. (2000): ‘The Pantanal in the 21st Century: For the Planet’s Largest Wetland, an Uncertain Future – in the Pantanal of Brazil, Bolivia and Paraguay’, Waterland Research Institute. The Hindu (2001): ‘Kolleru lake, a sanctuary: court’, Online edition of India’s National Newspaper, Tuesday, July 31, 2001. The PROBE Team (1999): ‘Public Report on Basic Education in India’, Oxford University Press, New Delhi. Thornton, C., M. Shanahan and J. Williams (2003): ‘From wetlands to wastelands: Impacts of shrimp farming’, SWS Bulletin, March, 2003. Tietenberg, Tom (2004): ‘Environmental and Natural Resource Economics,’ Pearson Education. Tomlinson, P.B. (1986): ‘The Botany of Mangroves’, Cambridge University Press, New York. Pp. 112-115. Turner, R. K. et al. (1997): ‘Ecological Economic Analysis of Wetlands: Science and Social Science Integration’, The Global Wetlands Economics Network (GWEN). Turner, R. K. et al. (2000): ‘Ecological Economic Analysis of Wetlands: Scientific integration for management and policy’, Ecological Economics, Vol. 35, pp. 7-23. Turner, R. K., C. Perrings and C. Folke (1997): ‘Ecological Economics: Paradigm or Perspective? In J. Van den Bergh and J. Van der Straaten (eds.) Economy and Ecosystems in Change’, Edward Elgar Publishers, Cheltenham. United Nations Development Programme (UNDP) (2006): 'Human Development Report’, Oxford University Press, New York. United Nations Population Fund (UNFPA) (1997): ‘India- Towards Population and Development Goals’, Oxford University Press, New Delhi. Vass, K.K. (1998): ‘Environmental impact on wetlands vis-à-vis fisheries’, Meenbarta, June, 1998. Vass, K.K. (2007): ‘Sustainable Fisheries and Environmental Concerns of Floodplain Wetlands in India’, National Research Centre on Coldwater Fisheries (ICAR), Bhimtal, Nanital, Uttranchal, India. Walter, H. (1977): ‘Climate. Ecosystem of the World, West Coastal Ecosystems’ (ed.) Chapman, V.J. Elsevier, the Netherlands. Pp. 54-66. Westman, R.E. (1985): ‘Ecology, Impact Assessment and Environment Planning’, Wiley, Chicchester, U.K.
Wheater, C. Philip and P. A. Cook (2000): ‘Using Statistics to Understand the Environment,’ Routledge, London. Williams, M. (ed.) (1993): ‘Wetlands A Threatened Landscape’, Blackwell, Oxford U.K.
Woodward, R.T. and Y.S. Wui (2001): ‘The economic value of wetland services: a meta-analysis’, Ecological Economics, Vol. 37, pp. 257-270. World Bank (1997): ‘Expanding the Measure of Wealth: Indicators of Environmentally Sustainable Development’, World Bank, Washington, D.C.
World Bank (2006): ‘World Development Report’, Oxford University Press, New York. World Resources Institute (2006): ‘World Resources’, Oxford University Press, New York. World Wide Fund For Nature, India (1994): ‘Chilika Lake’, Ramsar Sities of India. Zhou, P., B. W. Ang and K. L. Poh (2006): ‘Comparing aggregating methods for constructing the composite environmental index: An objective measure’, Ecological Economics, Vol. 59, Issue 3, pp. 305-311.